At the very time that Rock-n-Roll was reaching its crescendo, and into the era when country was dazzling the nation, a strange phenomenon was taking place. In essence, this phenomenon was the rising popularity ok POLKA MUSIC and with it the emergence of JIMMY STURR as the hottest musical attraction in the polka field, especially after just winning his sixth Grammy Award! 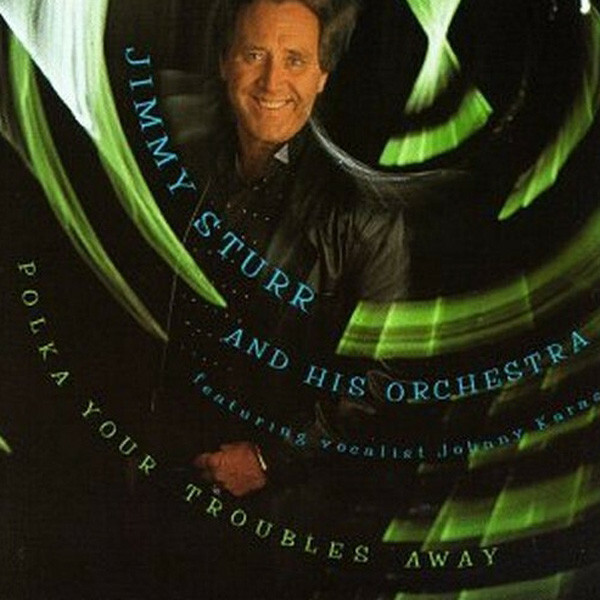 The JIMMY STURR BAND in the '90s is to polka fans what Benny Goodman was to the swing crowd in 1937 or what Dizzy Gillespie stood for with the boppers ten years later. Simply, Sturr has created quite a stir. Jimmy and the band attract crowds of screaming, adoring fans wherever their travels take them. This tremendous popularity has caused the Jimmy Stun Band to be voted "The #1 Polka Band In The Country" for the past 10 years and their recordings have earned both "Album Of The Year" and "Song Of The Year" status. Because of the great demand for live appearances, the Jimmy Sturr Band has an extensive road schedule. They crisscross the country and make several international road trips yearly. The band's travels have taken them to the most prestigious performance centers in the world including two "standing-room-only" performances at Avery Fisher Hall at New York City's Lincoln Center, The Palace of Culture in Warsaw, Poland (where they received seven standing ovations). They have had six "sold out" appearances at the world famous Carnegie Hall in New York. Home base for the Jimmy Sturr Band is the small Village 'of Florida in upstate New York, where Jimmy was born, raised and stared his musical career at the age of 13. A full scholarship gave Jimmy the opportunity to attend and graduate from Valley Forge Military Academy and the University of Scranton. Although the hand is always on the go, they are never too busy to lend their talents to many charitable events throughout the years. Jimmy has hosted telethons for both the Cerebral Palsy Foundation and the American Cancer Society. Because of his many charitable efforts, his contributions to his community and his dedication to excellence, Jimmy was chosen "Citizen Of The Year" in his local county. No one has done more for the polka field than this young Irishman from the little Village of Florida, NY. Seeing is believing, and when you see The Jimmy Sturr Band in person, you will know why they have won Six Grammy Awards, been voted #1 in the country, and generally considered THE BEST IN POLKA MUSIC. We hope this special Christmas album will bring the happiness and joy of Jimmy's music into your home for the festive season. Kundenbewertungen für "Polka Your Troubles Away"